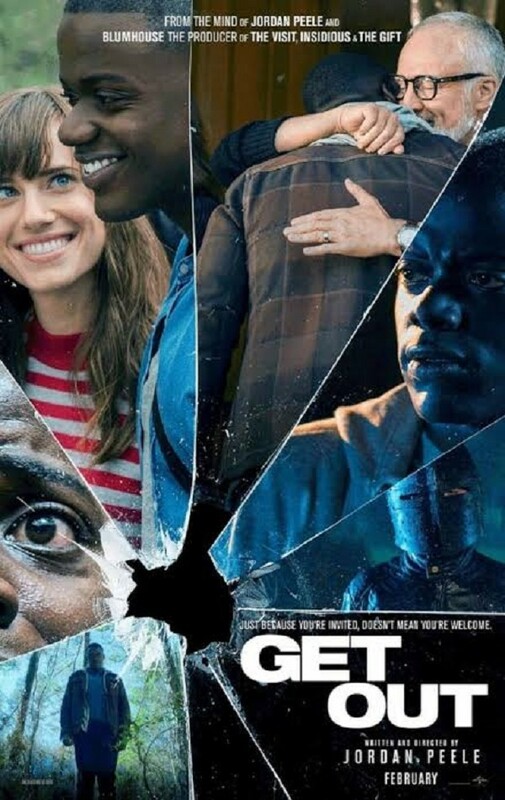 I saw "Get Out". Excellent movie. At the opening you meet a young couple, a black man (Chris) and white woman (Rose). It's obvious they have been together for awhile. They are getting ready for a trip so he can meet her parents. He asks her awkwardly if she told them about him. She tells him it's not going to be a problem. When they get there her parents seem very welcoming. However things begin to get strange. It develops into quite a horror/drama movie. It wasn't what I expected. I loved it. My friends and I did a lot of talking about it all the way home. The acting is excellent. I really enjoyed Daniel Kaluuya who played Chris. Allison Williams played Rose. Rose's father was well played by Bradley Whitford.